Check out the Arnold Arboretum (but with fall foliage). With our first taste of real fall weather this week, it may be tempting to retreat to the warm, familiar depths of your bed and stay there for the entire weekend. However Boston isn’t afraid of a little fall weather and it would be a shame to miss all of the fall-themed events that Boston has to offer! Prove that you’re just as ambitious in your Boston explorations as your are with your psets by checking out these events this weekend! As you might have noticed, the trademark fall foliage of New England has begun to take over the streets of Cambridge. As it turns out, fall 2018 foliage is expected to peak in Boston on October 19th, aka Friday! While you may not think of the city as an ideal place to view natural phenomena, check out this list of the seven best places to see fall foliage in Boston. A foliage scavenger hunt would be the perfect way to kick off the weekend! If you missed the last one, good news: Save the Harbor is hosting another free Spectacle Island Cruise this weekend! A trip to Spectacle Island is one of those Boston things that everyone thinks would be cool but no one ever actually makes the effort to do, so make yourself cool by actually doing it! For free! During peak foliage! If you’re ready to brave a crisp fall morning, show up at the World Trade Center dock at 10:30 a.m. to check in and embark on your trip aboard the Provincetown II. This event is most certainly not bursting the bubble, but is way too good not to include. It seems like every day of the year is some random arbitrary holiday, and this Saturday just happens to be International Sloth Day (which is clearly very important and not arbitrary at all). Who even are you if you don’t celebrate International Sloth Day, so mosey on over to the Harvard Museum of Natural History for sloth-themed activities, including a special storytime at 2 p.m. If you take the Orange Line all the way down to Jamaica Plain, you end up at a magical (and Harvard affiliated!) 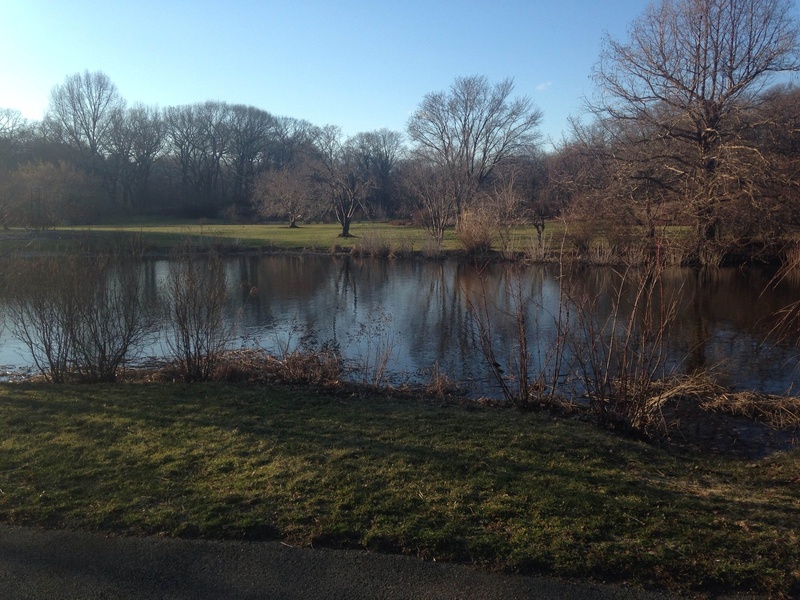 nature-filled paradise called the Arnold Arboretum. This fall, artist Fujiko Nakaya has created a fog-based art installation at the arboretum, and other artists have taken advantage of this installation to put on spectacular performances. This Sunday, the Actor’s Shakespeare Project will be presenting a free performance of Macbeth, specifically inspired by the arboretum and the fog installation. The play starts at 5 p.m., so grab a blanket and get your spooky season on. We hate to burst your bubble, but Harvard isn’t the entire world. Go forth and burst the Harvard bubble with these Boston events!